If you're in the business of marketing or developing products and programs for kids, What Kids Buy and Why belongs in your office. How can you create outstanding products and programs that will win in the marketplace and in the hearts of kids and parents? Dan S. Acuff and Robert H. Reiher have invented a development and marketing process called Youth Market Systems that puts the needs, abilities, and interests of kids first. This system makes sure you won't miss the mark whether you're trying to reach young children or teens, boys or girls, or whether you're selling toys, sports equipment, snacks, school supplies, or software. Based on the latest child development research, What Kids Buy and Why is full of provocative information about the cognitive, emotional, and social needs of each age group. This book tells you among other things—why 3-through-7-year-olds love things that transform, why 8-through-12-year-olds love to collect stuff, how the play patterns of boys and girls differ, and why kids of all ages love slapstick. 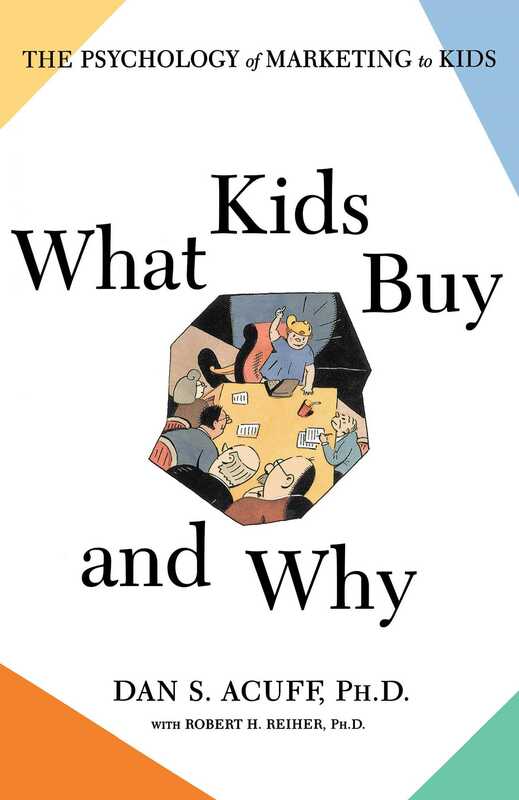 What Kids Buy and Why is the result of Acuff and Reiher's almost twenty years of consulting with high-profile clients including: Johnson & Johnson, Nike, Microsoft, Nestlé, Tyco, Disney, Pepsi, Warner Brothers, LucasFilm, Amblin/Spielberg, Mattel, Hasbro, Kraft, Coca-Cola, Quaker Oats, General Mills, Broderbund, Bandai, Sega, ABC, CBS, I-HOP, Domino's, Hardee's, and Kellogg's. Dan S. Acuff, PhD, is President of Youth Market System Consulting and, along with Dr. Robert H. Reiher, is among the world's leading specialists on youth-related products and programs. He has served as a consultant to more than fifty major kid-targeting corporations. Dr. Acuff lives and works in Glendale, California.